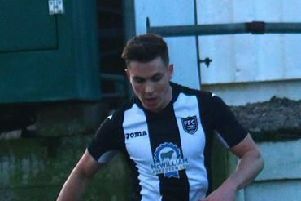 Fraserburgh boss Mark Cowie was full of praise for Greg Buchan and Paul Campbell, who came off the bench to help the Broch to a 2-1 win at Nairn County on Saturday. The pair both netted in the second half to secure the three points for the visitors after Adam Naismith had put County ahead from the penalty spot. “Greg Buchan and Paul Campbell have both been on the outside of late,” said Cowie. “Paul had a wedding when we played Lossie and Greg had a dip in form from a great first half to the season. “We know what they both have and it would be easy to sulk because they aren’t playing, however they went on and showed how good they are. “Aiden Combe had a good bit of play for the equaliser and Greg gambled and got a goal, while the finish that Paul had shows the type of striker that he is. “His overall play could be better but when he’s in the box then he knows where the net is. “I thought we did very well first half without dominating; we had the better chances but Nairn had more of the ball. “Nairn get a penalty in the second half which is a penalty, however I thought we could have had one for a handball. “It was two bits of brilliance for the goals and after that, I thought we could have scored a couple more. 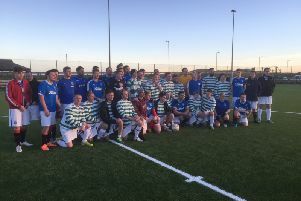 “I don’t think anyone could have argued with the result and Nairn are a good team. This weekend Fraserburgh have their first home game of 2019 against Deveronvale.